Bernhard, A. P. F. and Chopra, I., “Trailing Edge Flap Activated by a Piezo-Induced Bending-Torsion Coupled Beam,” Journal of the American Helicopter Society, Vol. 44, No. 1, January 1999, pp. 3-15. Hong, C. H. and Chopra, I., “Modeling and Validation of Induced Strain Actuation of Composite Coupled Plates,” AIAA Journal, Vol. 37, No. 3, March 1999, pp. 372-377. Jung, S. N., Nagaraj, V. T. and Chopra, I., “Assessment of Composite Rotor Blade Modeling Techniques,” Journal of the American Helicopter Society, Vol. 44, No. 3, July 1999, pp. 188-205. Spencer, M., Sanner, R. and Chopra, I., “Adaptive Neurocontrol of Simulated Rotor Vibrations Using Trailing Edge Flaps,” Journal of Intelligent Material Systems and Structures, Vol. 10, No. 11, November 1999, pp. 855-871. Srinivas, V. and Chopra, I., “Formulation of a Comprehensive Aeroelastic Analysis for Tilt-Rotor Aircraft” Journal of Aircraft, Vol. 35, No. 2, March-April 1998, pp. 280-287. Ganguli, R., Chopra, I. and Haas, D. J., “Helicopter Rotor System Fault Detection Using Physics-Based Model and Neural Networks,” AIAA Journal, Vol. 36, No. 6, June 1998, pp. 1078-1086. Milgram, J. and Chopra, I. “A Parametric Design Study for Actively Controlled Trailing Edge Flaps,” Journal of the American Helicopter Society, Vol. 43, No. 2, April 1998, pp. 110-119. Srinivas, V., Chopra, I. and Nixon, M., “Aeroelastic Analysis of Advanced Geometry Tiltrotor Aircraft,” Journal of the American Helicopter Society, Vol. 43, No. 3, July 1998, pp 212-221. Tracy, A. and Chopra, I., “Aeromechanical Stability Analysis and Testing of a Composite Rotor,” Journal of Aircraft, Vol. 35, No. 5, September-October 1998, pp. 791-797. Srinivas, V. and Chopra, I., “Validation of a Comprehensive Aeroelastic for a Tiltrotor Aircraft,” Journal of the American Helicopter Society, Vol. 43, No. 4, October 1998, pp. 333-341. Milgram, J., Chopra, I. and Straub, F., “Rotors with Trailing Edge Flaps: Analysis and Comparison with Experimental Data,” Journal of the American Helicopter Society, Vol. 43, No. 4, October 1998, pp. 319-332. Ganguli, R., Chopra, I. and Weller, W., “Comparison of Calculated Vibratory Rotor Hub Loads with Experimental Data,” Journal of the American Helicopter Society, Vol. 43, No. 4, October 1998, pp 312-318. Ganguli, R., Chopra, I. and Haas, D. J., “Simulation of Helicopter Rotor-System Structural Damage, Blade Mistracking, Friction and Freeplay,” Journal of Aircraft, Vol. 35, No. 4, July-August 1998, pp. 591-597. Spencer, M. G., Sanner. R. M. and Chopra, I., “An Adaptive Neurocontroller for Vibration Suppression and Shape Control of a Flexible Beam,” Journal of Intelligent Material Systems and Structures, Vol. 9, No. 3, March 1998, pp. 160-170. Chandra, R. and Chopra, I., “Actuation of Trailing Edge Flap in a Wing Model Using Piezostack Device,” Journal of Intelligent Material Systems and Structures, Vol. 9, No. 10, October 1998, pp. 847-853. Bernhard, A. P. F. and Chopra, I., “Hover Testing of Active Rotor Blade-Tips Using a Piezo-Induced Bending-Torsion Coupled Beams,” Journal of Intelligent Material Systems and Structures, Vol. 9, No. 12, December 1998, pp. 963-974. Gandhi, F. and Chopra, I., “An Aeroelastic Analysis Methodology for Bearingless Main Rotor Helicopters,” Journal of American Helicopter Society, Vol. 43, No. 1, January 1998, pp. 66-75. Koratkar, N. A. and Chopra, I., “Testing and Validation of a Froude Scaled Helicopter Rotor Model with Piezo-Bimorph Actuated Trailing-Edge Flaps,” Journal of Intelligent Material Systems and Structures, Vol. 8, No. 7, July 1997, pp. 555-570. Ganguli, R. and Chopra, I., “Aeroelastic Tailoring of Composite Couplings and Blade Geometry of a Helicopter Rotor Using Optimization Methods,” Journal of American Helicopter Society, Vol. 42, No. 3, July 1997, pp. 218-228. Chen, P. and Chopra, I., “Hover Testing of Smart Rotor with Induced-Strain Actuation of Blade Twist,” AIAA Journal, Vol. 35, No. 1, January 1997, pp. 6-16. Ganguli, R., Chopra, I. and Haas, D., “Simulation and Detection of Rotor-System Faults Using Neural Networks,” Journal of American Helicopter Society, Vol. 42, No. 2, April 1997, pp. 161-171. Chen, P. and Chopra, I., “Wind Tunnel Test of a Smart Rotor Model with Individual Blade Twist Control” Journal of Intelligent Material Systems and Structures, Vol. 8, No. 5, May 1997, pp. 414-423. Ganguli, R. and Chopra, I. “Aeroelastic Optimization of a Helicopter Rotor with Two-Cell Composite Blades,” AIAA Journal, Vol. 34, No. 4, April 1996, pp. 835-841. Ben-Zeev, O. and Chopra, I. “Development of an Improved Helicopter Rotor Model with Smart Trailing Edge Flaps for Vibration Suppression,” Smart Materials & Structures, Vol. 5, No. 1, February 1996, pp 11-25. Ganguli, R., Chopra, I. and Haas, D., “Formulation of a Rotor Head Damage Detection Methodology,” Journal of American Helicopter Society, Vol. 41, No. 4, October 1996. Gandhi, F. and Chopra, I. “Analysis of Bearingless Main Rotor Dynamics with the Inclusion of an Improved Time Domain Nonlinear Elastomeric Damper Model,” Journal of American Helicopter Society, Vol. 41, No. 3, July 1996, pp. 267-277.80. Gandhi, F. and Chopra, I., “A Nonlinear Viscoelastic Damper Model: Constitutive Equation and Solution Scheme,” Smart Materials & Structures, Vol. 5, No. 5, Oct. 1996, pp. 516-528. Park, C. and Chopra, I., “Modeling Piezoceramic Actuation of Beams in Torsion,” AIAA Journal, Vol. 34, No. 12, December 1996, pp. 2582-2589. Chen, P. C. and Chopra, I., “Induced Strain Actuation of Composite Beams and Rotor Blades with Embedded Piezoceramic Elements,” Smart Materials & Structures, Vol. 5, No. 1, February 1996, pp 35-48. Samak, D. K. and Chopra, I., “Design of High Force, High Displacement Actuators for Helicopter Rotors” Smart Materials & Structures, Vol. 5, No. 1, February 1996, pp 58-67. Ganguli, R.. and Chopra, I., “Aeroelastic Optimization of a Helicopter Rotor to Reduce Vibration and Dynamic Stresses,” Journal of Aircraft, Vol. 12, No. 4, July-August, 1996, pp. 808-815. Park, C., Walz, C and Chopra, I., ” Bending and Torsion Models of Beams with Induced-Strain Actuators,” Smart Materials & Structures, Vol. 5, No. 1, February 1996, pp 98-113. Ganguli, R. and Chopra, I., “Aeroelastic Optimization of an Advanced Geometry Helicopter Rotor” Journal of the American Helicopter Society, Vol. 41, No. 1, Jan. 1996, pp 18-28. Ganguli, R. and Chopra, I., “Aeroelastic Optimization of a Helicopter Rotor with Composite Tailoring,” Journal of Aircraft, Vol. 32, No. 6, Nov.-Dec. 1995, pp. 1326-1334. Srinivas, V., Chopra, I., Haas, D. and McCool, K., “Prediction of Yaw Control Effectiveness and Tail Rotor Loads,” Journal of American Helicopter Society, Vol. 40, No. 4, Oct. 1995, pp. 34-43. Tracy, A. L., and Chopra, I., “Aeroelastic Analysis of a Composite Bearingless Rotor in Forward Flight with Improved Warping Modeling,” Journal of American Helicopter Society, Vol. 40, No. 3, July 1995, pp. 80-91. Bothwell, C. M., Chandra, R. and Chopra, I., “Torsional Actuation with Extension-Torsional Composite Coupling and Magnetostrictive Actuators,” AIAA Journal, Vol. 33, No. 4, April 1995, pp. 723-729. Bir, G. S. and Chopra, I., “Aeromechanical Stability of Rotorcraft with Advanced Geometry Blades,” Computers and Mathematics With Applications: Special Rotorcraft Issue, Vol. 19, No. 3/4, 1994, pp. 159-191. Gandhi, F. and Chopra, I., “An Analytical Model for a Nonlinear Elastomeric Lag Damper and its Effect on Aeromechanical Stability in Hover,” Journal of the American Helicopter Society, Vol. 39, No. 4, 1994, pp 59-69. Milgram, J. and Chopra, I., “Air Resonance of Hingeless Rotor Helicopters in Trimmed Forward Flight,” Journal of American Helicopter Society, Vol. 39, No. 4, 1994, pp. 46-58. Chopra, I., “Design and Analyis Trends of Helicopter Rotor Systems” Sadhana, Vol 19, No. 3, June 1994, pp. 427-466. Smith, E. C. and Chopra, I., “Aeromechanical Stability of Helicopters with Composite Rotors in Forward Flight,” Journal of American Helicopter Society, Vol. 38, No. 4, Oct. 1993, pp. 50-61. Smith, E. C. and Chopra, I., “Aeroelastic Response and Blade Loads of a Composite Rotor in Forward Flight” AIAA Journal, Vol. 31, No. 7, July 1993, pp. 1265-1273. Chandra, R. and Chopra, I., “Structural Modeling of Composite Beams with Induced Strain Actuation,” AIAA Journal, Vol. 31, No. 9, Sept. 1993, pp. 1692-1701. Chandra, R. and Chopra, I., “Analytical-Experimental Investigation of Free-Vibration Charactertics of Rotating Composite I-Beams” Journal of Aircraft, Vol. 30, No. 6, Nov.-Dec. 1993, pp. 927-934.78. Chandra, R. and Chopra, I., “Structural Behavior of Two-Cell Composite Rotor Blades with Elastic Couplings,” AIAA Journal, Vol. 30, No. 12, Dec. 1992, pp. 2914-2921. Chandra, R. and Chopra, I., “Structural Response of Composite Beams and Blades with Elastic Couplings,” Composite Engineering, An International Journal, Vol. 2, No. 5-7, 1992, pp. 347-374. Kim, K. C. and Chopra, I., “Aeroelastic Analysis of Rotor Blades with Advanced Tip Shapes,” Journal of the American Helicopter Society, Vol. 38, No. 1, January 1992, pp. 15-30. Nguyen, K. Q. and Chopra, I., “Effects of Higher Harmonic Control Rotor Performance and Control Loads,” Journal of Aircraft, Vol. 29, No. 3, May-June 1992, pp. 336-342. Tasker, F. A. and Chopra, I., “Multi-output Implementation of a Modified Sparse Time Domain Technique for Rotor Stability Testing,” Journal of Guidance, Control, and Dynamics, Vol. 15, No. 6, Nov.-Dec. 1992, pp. 1366-1374. Chandra, R. and Chopra, I., “Experimental-Theoretical Investigation of the Vibration Charactertics of Rotating Composite Box Beams,” Journal of Aircraft, Vol. 29, No. 4, July-August 1992, pp. 657-664. Tasker, F. A. and Chopra, I., “Nonlinear Damping Estimation from Rotor Stability Data Using Time and Frequency Domain Techniques,” AIAA Journal, Vol. 30, No. 5, May, 1992, pp. 1383-1391. Lim, J.W. and Chopra, I., “Aeroelastic Optimization of a Helicopter Rotor Using Efficient Sensitivity Analysis,” Journal of Aircraft, Vol. 28, No. 1, Jan. 1991, pp. 29-37. Smith, E. C. and Chopra, I., “Formulation and Evaluation of an Analytical Model for Composite Box-Beams,” Journal of the American Helicopter Society, Vol. 37, No. 3, July 1991, pp. 23-35. Chandra, R. and Chopra, I., “Experimental and Theoretical Analysis of Composite I-Beams with Elastic Couplings,” AIAA Journal, Vol. 29, No. 12, December 1991, pp. 2197-2206. Torok, M. S. and Chopra, I., “Hingeless Rotor Blade Stability Using a Coupled Aeroelastic Analysis with Refined Aerodynamic Modeling,” Journal of the American Helicopter Society, Vol. 37, No. 4, October 1991, pp. 48-56. Kim, K. C. and Chopra, I., “Effects of Three-Dimensional Aerodynamics on Blade Response and Loads,” AIAA Journal, Vol. 29, No. 7, July 1991, pp. 1041-1050. Nguyen, K. and Chopra, I., “Application of Higher Harmonic Control to Rotors Operating at High Speed,” Journal of the American Helicopter Society, Vol. 35, No. 3, July 1990, pp. 78-89. Torok, M. S. and Chopra, I., “Rotor Loads Prediction Utilizing a Coupled Aeroelastic Analysis with Refined Aerodynamic Modeling,” Journal of the American Helicopter Society, Vol. 36, No. 1, Jan. 1990, pp. 58-67. Chandra, R., Stemple, A. and Chopra, I., “Dynamic Behavior of Thin-Walled Composite Beams,” Journal of Aircraft, Vol. 27, No. 7, July 1990, pp. 619-626. Chopra, I., “Perspectives in Aeromechanical Stability of Helicopters,” VERTICA, Vol. 14, No. 4, 1990, pp. 457-508. Kim, K. C., Desopper, A., and Chopra, I., “Dynamic Blade Response Calculations Using Improved Aerodynamic Modeling,” Journal of the American Helicopter Society, Vol. 36, No. 1, Jan. 1990, pp. 68-76. Elliott, A. S. and Chopra, I., “Hingeless Rotor Response to Random Gust in Forward Flight,” Journal of the American Helicopter Society, Vol. 35, No. 2, Apr. 1990, pp. 51-59. Lim, J. and Chopra, I., “Aeroelastic Optimization of a Helicopter Blade in Forward flight,” AIAA Journal, Vol. 27, No. 1, Jan. 1990. pp. 75-82. Haas, D. and Chopra, I., “Aeroelastic Stability of Aircraft With Circulation Control Wings,” Journal of Aircraft, Vol. 27, No. 9, Sept. 1990, pp. 771-778. Nguyen, K. and Chopra, I., “Application of Higher Harmonic Control (HHC) to hingeless Rotor Systems,” VERTICA, Vol. 14, No. 4, Oct. 1990, pp. 545-556. Lim, J. W. and Chopra, I., “Stability Sensitivity Analysis for Aeroelastic Optimization of a Helicopter Rotor,” AIAA Journal, Vol. 28, No. 6, 1990, pp. 1089-1097. Tasker, F. A. and Chopra, I., “Assessment of Transient Testing Techniques for Rotor Stability Measurement,” Journal of the American Helicopter Society, Vol. 35, No. 1, Jan. 1990, pp. 39-50. Lim, J. W. and Chopra, I., “Aeroelastic Optimization of a Helicopter Rotor,” Journal of the American Helicopter Society, Vol. 34, No. 1, Jan. 1989, pp. 52-62. Wang, J., Jang, J. and Chopra, I., “Air Resonance of Hingeless Rotors in Forward Flight,” VERTICA, Vol. 14, No. 3, July, 1989, pp. 123-136. Torok, M. S. and Chopra, I., “A Coupled Rotor Aeroelastic Analysis Utilizing Non-Linear Aerodynamics and Refined Wake Modeling,” VERTICA, Vol. 13, No. 2, July, 1989, pp. 87-106. Haas, D. J. and Chopra, I., “Flutter of Circulation Control Wings,” Journal of Aircraft, Vol. 26, No. 4, Apr. 1989, pp. 373-381. Haas, D. and Chopra, I., “Aeroelastic Characteristics of Swept Circulation Control Wings,” Journal of Aircraft, Vol. 25, No. 10, Oct. 1988, pp. 948-954. Kim, K. C., Bir, G.S. and Chopra, I., “Helicopter Response to an Airplane’s Vortex Wake,” VERTICA, Vol. 12, No. 1/2, Jan. 1988, pp. 39-54. Chopra, I., “Aeroelastic Stability of a Bearingless Circulation Control Rotor in Forward Flight,” Journal of the American Helicopter Society, Vol. 33, No. 3, July 1988, pp. 60-67. Jang, J. and Chopra, I., “Air and Ground Resonance of an Advances Bearingless Rotor, Journal of the American Helicopter Society, Vol. 33, No. 3, July 1988, pp. 20-29. Dull, A. L. and Chopra, I., “Aeroelastic Stability of Bearingless Rotors in Forward Flight,” Journal of the American Helicopter Society, Vol. 33, No. 4, Oct. 1988, pp. 38-46. Raghavan, V., Pai, S. I. and Chopra, I., “Circulation Control Airfoils in Unsteady Flow,” Journal of the American Helicopter Society, Vol. 33, No. 4, Oct. 1988, pp. 28-37. Panda, B. and Chopra, I., “Aeroelastic Stability of a Composite Blade in Forward flight,” 10th Anniversary Special Issue of VERTICA, Vol. 11, No. 1, 1987, pp. 187-210. Hong, C. H. and Chopra, I., “Aeroelastic Stability Analysis of a Bearingless Composite Blade in Hover,” Journal of the American Helicopter Society, Vol. 31, No. 4, Oct. 1986, pp. 29-35. Panda, B. and Chopra, I., “Dynamic Stability of Hingeless and Bearingless Rotors in Forward Flight,” Computers and Mathematics With Applications: Special Rotorcraft Issue, Vol. 12A, No. 1, May, 1986, pp. 111-130. Bir, G. S. and Chopra, I., “Gust Response of Hingeless Rotors,” Journal of the American Helicopter Society, Vol. 31, No. 2, April, 1986, pp. 33-46. Sun, M., Pai, S. I., and Chopra, I., “Aerodynamic Force Calculations of an Elliptic Circulation Control Rotor,” Journal of Aircraft, Vol. 23, No. 9, Sept. 1986, pp. 673-680. Bir, G. S. and Chopra, I., “Prediction of Blade Stresses Due to Gust Loading,” VERTICA, Vol. 10, No. 3, Oct. 1986, pp. 353-377. Hong, C. H. and Chopra, I., “Aeroelastic Stability Analysis of a Composite Blade,” Journal of the American Helicopter Society, Vol. 30, No. 2, April, 1985, pp. 57-67. Chopra, I., “Dynamic Stability of a Bearingless Circulation Control Rotor Blade in Hover,” Journal of the American Helicopter Society, Vol. 30, No. 4, Oct. 1985, pp. 40-47. Panda, B. and Chopra, I., “Flap-Lag-Torsion Stability in Forward Flight,” Journal of the American Helicopter Society, Vol. 30, No. 4, October, 1985, pp. 30-39. Sivaneri, N. S. and Chopra, I., “Finite Element Analysis for Bearingless Rotor Blade Aeroelasticity,” Journal of the American Helicopter Society, Vol. 29, No. 2, April, 1984, pp. 42-51. Chopra, I., “Aeroelastic Analysis of an Elastic Circulation-Controlled Rotor Blade in Hover” VERTICA, Vol. 8, No. 4, December, 1984, pp. 353-371. Chopra, I., “Dynamic Analysis of Constant-Lift and Free-Tip Rotors,” Journal of the American Helicopter Society, Vol. 28, No. 1, January, 1983, pp. 24-33. Chopra, I. and McCloud, J. L., “A Numerical Simulation of Open-Loop, Closed Loop and Adaptive Multicyclic Control Systems,” Journal of the American Helicopter Society, Vol. 28, No. 1, January, 1983, pp. 63-77. Sivaneri, N. S. and Chopra, I., “Dynamic Stability of a Rotor Blade Using Finite Element Analysis,” AIAA Journal, Vol. 20, No. 5, May, 1982, pp. 716-723. Chopra, I. and Ballard, J., “Measurement of Control Stability Characteristics of a Wind Tunnel Model Using a Transfer Function Method,” AIAA Journal of Guidance and Control, Vol. 4, May, 1981, pp. 273-276. Chopra, I. and Dugundji, J., “Nonlinear Dynamic Response of a Wind Turbine Blade,” Journal of Sound and Vibration, Vol. 63, No.2, March, 1979, pp. 265-286. Chopra, I. and Johnson, W., “Flap-Lag-Torsion Aeroelastic Stability of Circulation Controlled Rotors,” Journal of the American Helicopter Society, Vol. 23, No. 2, April, 1979, pp. 37-46. Johnson, W. and Chopra, I., “Calculated Hovering Helicopter Flight Dynamics With a Circulation Controlled Rotor, ” Journal of Aircraft, Vol 16, No. 2, February, 1979, pp. 124-128. Chopra, I. and Dugundji, J., “Nonlinear Dynamic Response of a Wind Turbine Rotor Under Gravitational Loading,” AIAA Journal, Vol. 16, No. 8, 1978, pp. 773-774. 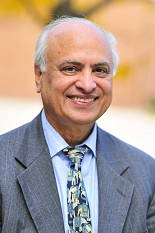 Chopra, I., “Flutter of a Panel Supported on an Elastic Foundation,” AIAA Journal, Vol. 13, No. 5, May, 1975, pp. 687-688. Chopra, I., “Vibration of Stepped Thickness Plates,” International Journal of Mechanical Sciences, Vol. 16, 1974, pp. 337-344. Chopra, I. and Durvasula, S., “Vibration of Tapered Skew Plates,” Revue Roumaine des Sciences Techniques – Mecanique Appliquee, Vol. 18, No. 5, 1973, pp. 925-938. Chopra, I., “Flutter Analysis of Two-Dimensional Variable Thickness Plates,” Journal of the Aeronautical Society of India, Vol. 24, No. 3, 1972, pp. 368-370. Chopra, I. and Durvasula, S., “Vibration of Simply-Supported Trapezoidal Plates II, Unsymmetric Trapezoids,” Journal of Sound and Vibration, Vol. 20, No. 2, 1972, pp. 125-134. Chopra, I. and Durvasula, S., “Vibration of Simply-Supported Trapezoidal Plates I, Symmetric Trapezoids,” Journal of Sound and Vibration, Vol. 19, No. 4, 1971, pp. 379-392. Chopra, I. and Durvasula, S., “Natural Frequencies and Modes of Tapered Skew Plates,” International Journal of Mechanical Sciences, Vol. 13, 1971, pp. 368-370. Chopra, I., “Perturbation Solution of an Algebraic Eigenvalue Problem of Vibration of Variable Thickness Plates,” Journal of the Aeronautical Society of India, Vol. 23, No. 4, 1971, pp. 209-212.